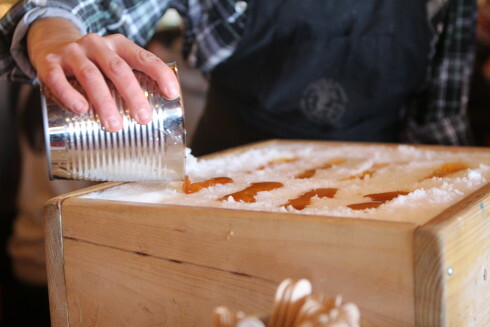 As summer peaks and we look to the end of August, it’s Cabane a sucre time. 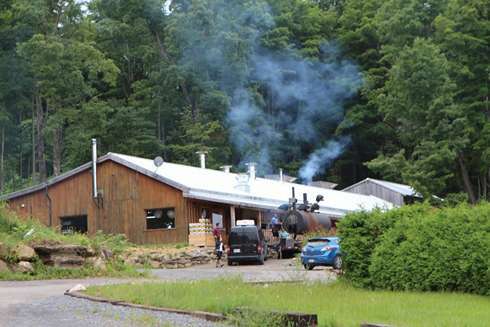 No this is not an error, you read correctly, this is not the cabane a sucre that comes to most people’s mind but rather the Pied de Cochon cabane a sucre harvest session. As the winter begins to drag on we all need something to help us make it through. Some escape to the a sun soaked beach, some go skiing, others find romance and hunker down in relations. All of these are coping methods to deal with the harsh Montreal winters; cold, ice, snow, limited daylight all take a toll. 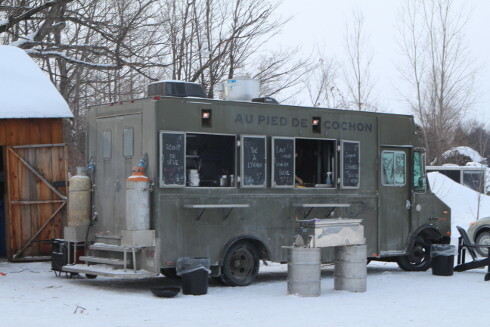 Although, one event in my mind truly shines a light to a dreadful period of the year: the Pied De Cochon Cabane à Sucre session. 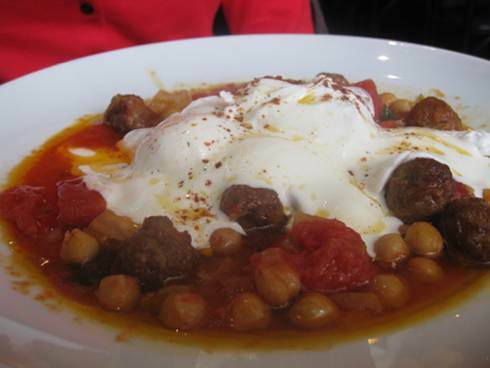 Montreal is fortunate to have a great ethnic flavor with its various restaurants and we also have some places that have decided to take the next step and try out an ethnic brunch. Brunch is a word made up breakfast and lunch, we all know the breakfasty dishes like pancake stacks, waffles, and eggs Benedict but what about rolling out some gravlax, some sweetbreads, or some black codd in the morning? 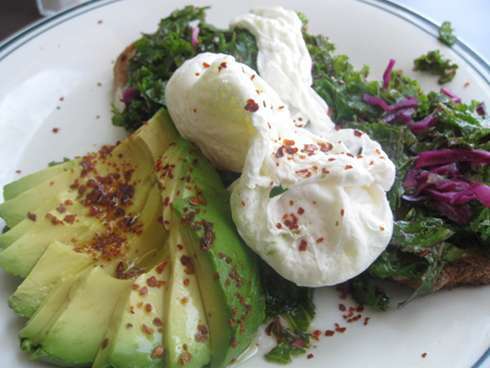 Maybe re-invent brunch and push the boundaries a little more towards the lunch side of brunch. 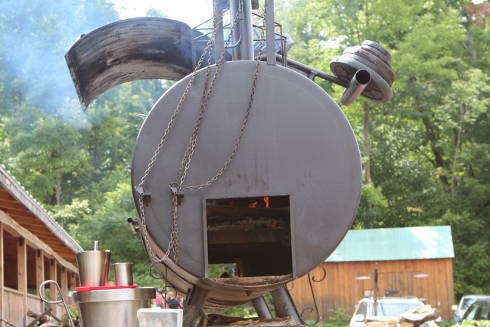 The following restaurants are those that are definitely not your average bacon and eggs spots. 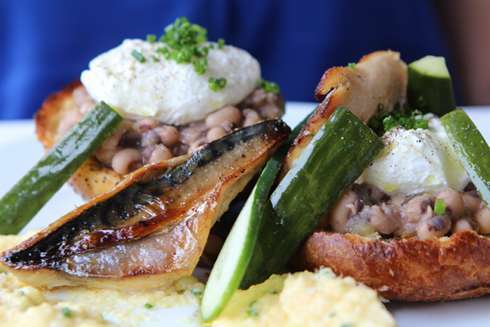 With a big emphasis on local and organic this year, I felt it was time to give some attention to some spots that have managed to combine brunch with ingredients that are local and organic. In the final segment of our top montreal brunches we have covered the best new brunch of 2014, best ethnic brunch, best local / organic brunch, best lunchy kind of brunches and now best breakfasty brunches. When we say “breakfasty” we mean brunches that are classic in the sense that their menu will give you pancakes, french toast, waffles, eggs… you know those classic dishes you grew up on. Nowadays the trend is to go for dishes that are more lunch than breakfast. Smoked salmon on a bagel will no longer cut it, people want gravlax, halloumi cheese and gluten free bread. This section is in recognition of the classic places that stay true to the the classic brunch dishes and make them stand out. 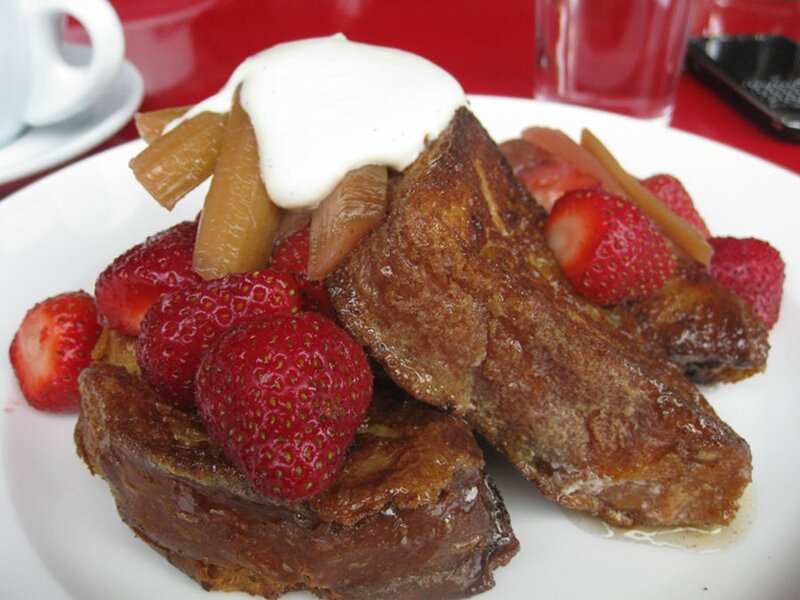 In keeping with our best of Montreal Brunch segment this is our first part focusing on Best new Montreal brunch. These are the places we have reviewed this year and in many cases are not established yet as compared to older places that we all know and love. 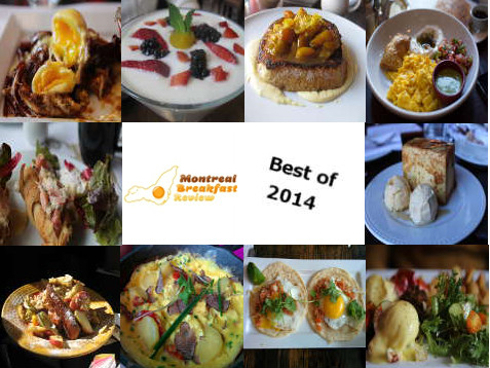 What is the best Montreal Brunch of 2014? This is a question we get asked every year, but one that is difficult to answer. 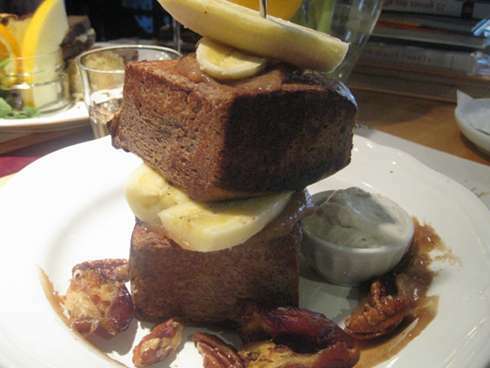 We have eaten and reviewed close to 300 brunches – many in Montreal and a couple abroad. We have to go over a laundry list of new spots, old spots, places that move, places where management and menu changed, places that got better, and sadly, places that got worse. Consistency is a tricky thing for most restaurants to pull off. You need to make dishes people like, be financially successful, be innovative and evolve with the times. So you can understand why we only do our “best of” round-up once a year. Over the next few posts we will be showcasing our selection of our favourites and the various sections they cover. Initially, this was supposed to be a single post but it evolved as we got into more detail and felt that we should break it down into multiple sections. Please note that in each category and in our choice we give positive and negative criticism since there is no perfect brunch and all places can improve on something. Also note that we could have simply made a top 10 list and given 2 lines of text and a pretty picture but much like a proper brunch we want to give you something on your plate that gets your appetite going and makes you come back for more. Or in this case, go visit them. Our categories includes best new brunch, best classic brunch, best alternative brunch, best ethnic brunch and best local/organic brunch. Mom: she gave you life; she took care of you; and, this year you will remember that it’s Mother’s Day and you want to take her for brunch. 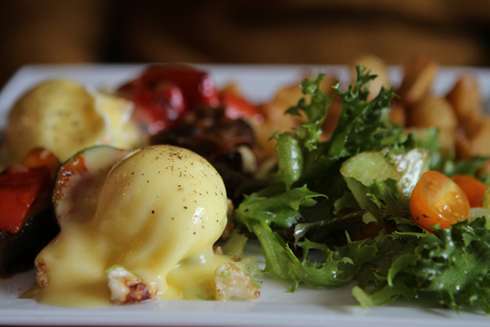 So, here’s where we come in to offer up some helpful Mother’s Day suggestions for which brunch in Montreal you should consider.